This chapter covers the most important class of models, viz. 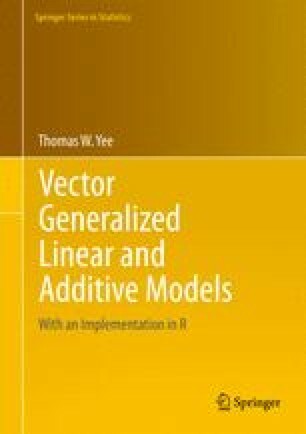 vector generalized linear models (VGLMs). It includes the basic ideas of (parameter) link functions, constraint matrices, the xij argument, inference, computational details, (e.g., QR decomposition, Cholesky), residuals and diagnostics. Some basic details on software usage is given.